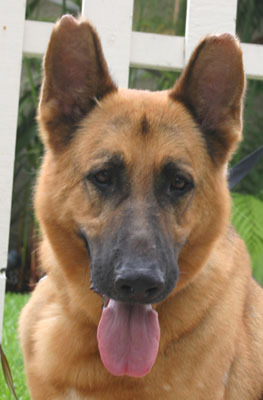 Buddy von Lacy Strasse is a handsome 4 year old German Shepherd. 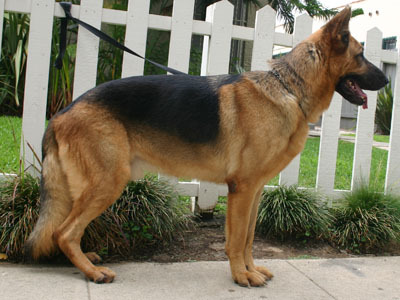 He has the well built solid body and confirmation of the German import dogs. 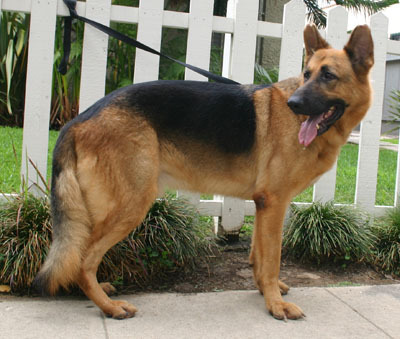 He also has the rich coloring which is popular in Germany. Buddy was given up by his family because they were moving. 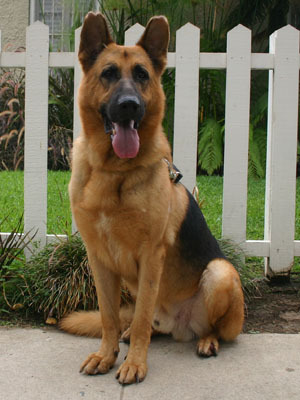 He has had good care, his coat is well groomed and shiny. 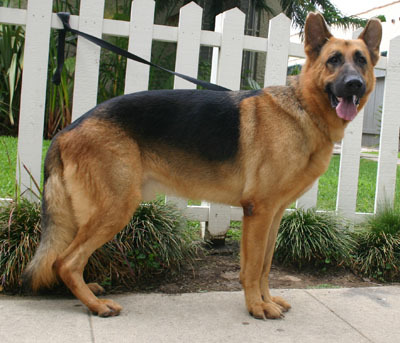 He has had good nutrition and has a well filled out muscular and toned body. Buddy is a large guy but easy to handle. He has had some training and is very responsive. He has some scare tissue on the top of his ears from fly bites, other than that he looks perfect. He is very dog friendly and even doesn’t respond aggressively when dogs bark at him. He just turns away and enjoys his walk. We want to clone this guy, he is too much!